Pixability has released its second annual, deep-dive, "Beauty on YouTube" report, finding, among other things that beauty video views have increased by 50% between January, 2014 and April, 2015. Overall, beauty is one of the most vibrant verticals on YouTube, with 1.8 million videos driving 45.3 billion total views to date, of which 55% are now viewed on mobile devices. There are over 123 million subscribers to YouTube beauty channels. Makeup accounts for 51% of beauty videos, far ahead of hair (28%), nails (10%) and skincare (6%). No surprise, 89% of YouTube's beauty audience is female. 215 different beauty brands are now on YouTube, as well as almost 183,000 independent creators who upload 100 hours of video each day. 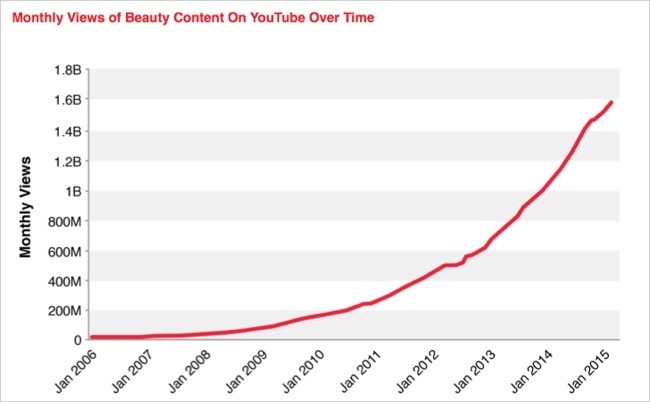 Even though viewership of brand-produced videos grew 35% faster than the overall category in the 15 month period, beauty creators own 95.4% of all YouTube beauty content, down just slightly from 97% in 2014's report. But the Pixability report shows how dynamic the creator segment is, with perennial beauty superstar Michelle Phan (now with 7.7 million subscribers) being surpassed by Bethany Mota (with 8.7 million subscribers) and Zoe Sugg (with 8.1 million subscribers). Phan's views have also fallen from 25.5 million per month to 15 million per month as she has reduced her publishing volume from 63 in 2014 to just 13 in the first 3 1/2 months of 2015, even as others have increased their volume. That's part of a larger trend Pixability found: so-called "second-generation" beauty creators are driving faster subscriber gains than original creators by publishing more and leveraging social media. Pixability asserts that subscriber levels matter to brand advertisers, along with audience engagement (e.g. comments, likes, shares, etc.). The report contains tons more data and is a must-read not only for beauty marketers but for all marketers looking for insights on how to leverage YouTube's massive ecosystem. The report can be downloaded here. 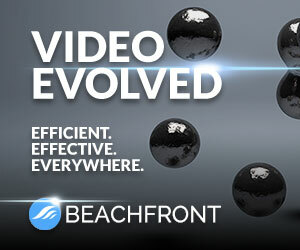 Note, at next Tuesday's Online Video Ad Summit, we'll be drilling down on YouTube's advertising potential in a session with Michelle Bandler (Director of Brand Activation, Google), Al Cadena (Senior Account Director, Beeby Clark+Meyler), Hermann Hassenstein (Global Head of Marketing Planning, Puma) and Art Zeidman (EVP, Chief Revenue Officer, Pixability). Mike Shields from the Wall Street Journal, who has covered YouTube extensively, will moderate. Learn more and register now!